Afghanistan, located in South Asia, is a landlocked country bordered by Pakistan, Iran, Turkmenistan, Uzbekistan, Tajikistan and China. It has a strategic location and it connected the cultures of the Middle East and other parts of Asia by the Silk Road. It has been home to various peoples and witnessed several military campaigns by Alexander, Mauryas, Muslim Arabs, Mongols, British, Soviet, and since 2001 by the United States/NATO Allied Countries. Much of its territory covers the Hindu Kush Range that stretches along Afghanistan-Pakistan border, has been historically a significant sector of Buddhism and acted as a passageway during the invasions of the Indian subcontinent. It is still important during modern era warfare. The 2430 km long Durand line, established in 1896, is the International Border between Afghanistan and Pakistan. It is described as very dangerous from a geopolitical and geostrategic perspective and, lot of insurgency and other related activities have occurred across the porous border for years. Afghanistan is a very important nation for India. India has invested in the success of the current regime. It has committed US$2 billion in developmental aid to Afghanistan. Both countries signed a ‘Strategic Partnership Agreement 2011’ wherein, India is to assist Afghanistan in the training and equipping of Afghan security forces to finally take on the Taliban without the support of West. Afghanistan is also important for India’s energy security. India has vital economic interests in Afghanistan in terms of natural resources, viz iron, copper, cobalt, gold, critical industrial metals like lithium and natural gas/oil. Investment of Indian Private Companies in Afghanistan is to a tune of US $ 10 billion in mining and steel sectors. Afghanistan has awarded three of four blocks of its largest iron ore deposit, Hajigak, to a consortium of Indian Companies led by the state-owned Steel Authority of India Ltd. Indian entrepreneurs have also shown interests in petroleum and copper mining blocks in Afghanistan. Afghanistan is vital for the revival of the ‘Silk Route’ that can be a gateway for India to Central Asia for trade and energy resources. A stable Afghanistan is, therefore, important for India’s security. As on date, Taliban controls approximately 2/3 of Afghanistan. Control of Government is limited only to urban areas and highways. US Forces have been in Afghanistan in the longest conflict engagement since World War II. 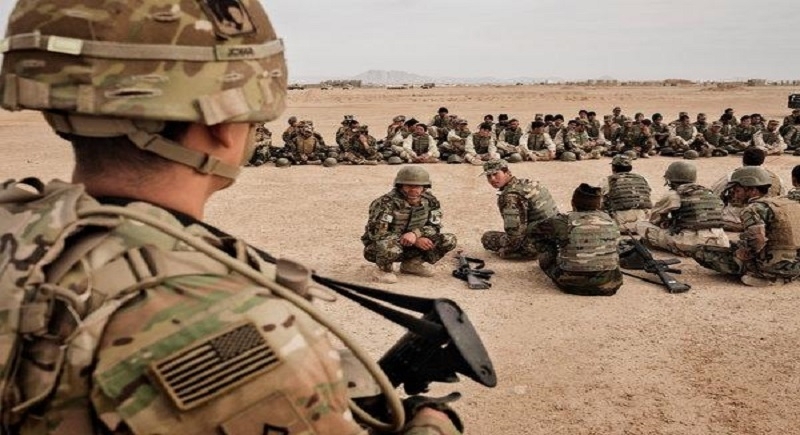 It is certain that after reduction/withdrawal of US Forces from Afghanistan, the militants will re-organise/restructure to threaten the peace of the entire region by drawing neighbouring countries in the war and endangering stability of the South and Central Asia. History reveals that after complete withdrawal of Soviet Union forces from Afghanistan in 1988, America ceased taking interest in Afghanistan and the fighters made their way to Pakistan India Eastern Borders. Afghanistan long ago took from Vietnam the title of “America’s Longest War” when it passed 19 year mark in 2019. After second ‘American Withdrawal’ from an unpopular war, comparison of the two conflicts is inevitable. The Paris Peace Accords, officially titled the “Agreement on Ending the War and Restoring Peace in Vietnam” was a Peace Treaty signed on 27th January, 1973, to establish peace in Vietnam and end the Vietnam War. It was criticized because by going to the table, Americans basically were telling the North Vietnamese and Viet Cong, ‘We surrender; we are here just to work out the terms’. Vietnam and Afghanistan are dramatically different in culture, geography and history. Even the scale of the two wars was vastly different: Half a million American troops went to Vietnam at its height, compared with a maximum of 100,000 to Afghanistan, now whittled down to 14,000; more than 58,000 Americans died in Vietnam, fewer than 3,000 in Afghanistan. Officials from Afghanistan, Pakistan, and China met in Kabul, in December 2018 to discuss trade, development, and solutions to end the region’s unceasing conflict. The bitter relationship between Pakistan and Afghanistan was at the centre of talks, with all three countries agreeing that a peaceful end to the war will result in economic and trade benefits for the entire region. During a news conference after the trilateral talks, Afghan’s Foreign Minister Salahuddin Rabbani said that Kabul had yet to see “tangible progress” from Pakistan “in the fight against terrorism”. He added that Afghanistan wanted to see some “specific measures” from Islamabad to end the violence. Now Trump administration has decided to withdraw roughly 7,000 troops from Afghanistan. This decision will have major consequences for peace in Afghanistan and the neighbourhood. It was increasingly becoming clear that Trump was too impatient to stick to his own Afghanistan strategy announced in August 2017. Curbing his isolationist instincts, Trump had then decided to commit more resources and personnel to the Afghan war. A year later, Trump had grown weary, decided to enter into a bargain with the Taliban and made Zalmay Khalilzdad, responsible to hold talks with the Taliban. Six days of talks between Zalmay Khalilzad and the Taliban in Doha, Qatar ended on 26th January, 2019 in a ‘Preliminary Agreement’ that American Troops would be withdrawn in exchange for Taliban guarantee: ‘Not to allow terrorists to attack America again’. a) American and Taliban officials have agreed in principle to the framework of a deal to end the war in Afghanistan, but the Afghan government has found itself excluded from the talks. b) The negotiations have raised the question of whether the American withdrawal from Afghanistan will mean handing the country over to the same militants that the United States went to war to dislodge. Incidentally, idea of American reduction/withdrawal and a peace agreement that empowers the Taliban, fills many Afghan women with dread. c) Pakistan welcomed Trump’s decision. Foreign minister Shah Mehmood Qureshi said Pakistan will help US Taliban talks and to facilitate that, she is ready to release few Talibanis in its custody to foster an enabling environment for further talks. This has confirmed Taliban-Pakistan nexus and Pakistani control over Taliban with connivance of America. Pakistan is now back in the saddle on the Afghan issue. d) NUG, Pakistani, Saudi and UAE officials were present during talks. But Taliban refused to communicate with/meet NUG officials show that they were now negotiating directly with the US and that the NUG was an inferior entity. e) China, hosted Taliban during talks because an end to the war is crucial to its “One Belt, One Road” (OBOR) policy. Chinese military, economic, and political engagements in Afghanistan are driven by domestic security concerns that terrorism will spread across the Afghan border into China. Afghan Government “continues to seek Chinese pressure on Pakistan” to assist reconciliation efforts and eliminate insurgent sanctuaries. f) Chinese concern about growth of militancy as a positive element which will compel Beijing to work with the international community to suppress terrorism in the South Asian region. Several Indian citizens have been killed on duty in Afghanistan, and the Indian embassy in the Afghan capital has had to withstand two attacks, in 2008 and 2009, that brought many casualties. Afghanistan has posed a significant danger to India in recent past. It was during Taliban rule in 1999, for example, that an Indian Airlines Aircraft was hijacked to Kandahar in Afghanistan. India had to release three terrorists in exchange for the hostages. Therefore, consequent to present American troop withdrawal from Afghanistan, India must play its cards cautiously. She has to give support to NUG and at the same time, maintain lines with the Taliban. India has to consult with other states on the Afghan situation. The visit of the Russian special envoy on Afghanistan, Zamir Kabulov, was a welcome step. As developments in Afghanistan will directly affect India’s security, New Delhi will have to strengthen its position as a serious stakeholder in the long term stabilisation of Afghanistan and as a partner in the nation building process. a) Focus on development of infrastructure and military aid in Afghanistan. As such, she is largest regional provider of humanitarian and reconstruction aid to Afghanistan. b) Improve transport connectivity and economic collaboration with countries in Central and South Asia. c) Invest more in expansion of Chabahar Port in South Eastern Iran which will improve its connectivity to Afghanistan and Central Asia. d) Form strong regional group like’ Heart of Asia Platform’ and provide diplomatic and military help to improve control of Afghan Government over the region and tackle threats like terrorism and extremism in the region. e) Expand its role in training Afghan National Security Forces and help in development of Judicial System. f) Provide expertise in building a counter insurgency grid through her experience in Jammu & Kashmir for security sector reform in Afghanistan. g) Capitalise on its traditional, historical, social and cultural capital. As part of counter radicalisation campaigns, messages of moderate Islam from the Deoband would be a good way to counter and neutralise the radical Wahhabi messages. h) Expand cultural, sports and educational exchanges between the two countries. Setting up of Pushtun Centres in India and Hindi Centres in Afghanistan would help in greater cultural and linguistic exchanges. Cricket is an important sport that needs promotion. The excellent performance of Afghanistan in the recent one day matches is a case in point. ‘Will the Afghan Forces be able to discharge their responsibility effectively after US withdrawal’ is the key question being asked by Defence Analysts world over. US withdrawal from Afghanistan will provide a golden chance to Taliban to challenge the Afghan National Security Force (ANSF) potential to keep the country intact. The ANSF will simultaneously combat on two fronts. Firstly, it will fight against Taliban, which will use all their strength to re take areas from Army in remotest rural territories. Secondly, the Taliban will strive to eliminate the country´s Internal Security and Political Apparatus by demoralizing Security Forces who may/will resort to mass deserting. There is also a possibility of ANSF disintegrating along ethnic lines, in case Taliban, a predominantly Pashtun-majority entity, successfully overruns Kabul. Only time has answers to all such queries/doubts. US Troop withdrawal from Afghanistan is not good news for India. It will certainly have its implications in Kashmir. It is a matter of time that we will be feeling its implications in the Valley. After the US withdrawal, the terrorist organisations would feel pumped up, emboldened and empowered. It will also affect adoption of a “Clear-cut Roadmap” to tackle the Kashmir issue. Terror activities in Afghanistan after American reduction/withdrawal would spill over into neighbouring countries including India and Afghanistan will certainly become "Second Staging ground for an Indo-Pakistan Proxy War”.